Torquay United goalkeeper Dan Lavercombe is set to sign for League One side Wigan Athletic when the January transfer window opens. The 19-year-old will join the Latics for an undisclosed fee, but be loaned back to Torquay for the remainder of this season. Lavercombe had been linked with a move to Bolton last month. "Wigan's looking like a strong possibility," Torquay United manager Kevin Nicholson told BBC Sport. The goalkeeper has made 15 appearances for the National League club since his debut in April, and has been first-choice since the end of October. 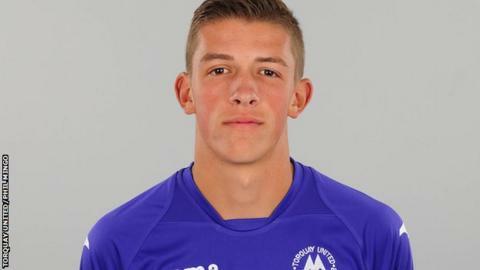 He is the only full-time goalkeeper currently at Torquay after Fabian Speiss left earlier this month.